Established by Mark Lewis, Mark R. Lewis PC is dedicated to serving the transactional and litigation needs of Colorado clients and national clients with interests in Colorado. Our philosophy stems from the belief that our clients deserve personal attention. We pride ourselves in listening and providing the services you need. Mark Lewis is a graduate of State University of New York Law School. He is a member of the Colorado Bar since 1976. He is a member of the American Bar Association section of Real Property, Trust and Probate. He is a member of the Colorado Bar Association’s Real Estate Law section, and Trust and Estates section. He has been active in charitable organizations and youth sports. This is the highest rating provided to attorneys. AV®, BV® and CV® are registered certification marks of Reed Elsevier Properties Inc., used in accordance with the Martindale-Hubbell certification procedures, standards and policies." Martindale-Hubbell is the facilitator of a peer review rating process. Ratings reflect the anonymous opinions of members of the Bar and the Judiciary. Martindale-Hubbell Peer Review Ratings fall into two categories - legal ability and general ethical standards. Robert Smith is a graduate of the University of Denver Law School. 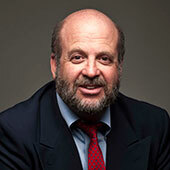 He is of counsel to the firm, and has been involved with complex litigation for over thirty years. He has been active in community not for profit organizations. Ms. Koehler has been with Mark R. Lewis as a paralegal since 1986. She is experience in all aspects practiced by the firm with an emphasis on probate matters, and the buying and selling of businesses. She has a bachelor’s degree with an emphasis in accounting. She is active in the community. Most people would rather not think about what will happen when they die. However, the ones that do think about it leave greater asset value and far fewer complications for their heirs. Mark R. Lewis can help you navigate the complex and multi-faceted labyrinth of Estate Law, including estate planning and administration. At the end of your life, your assets will be distributed and taxed. Where they are distributed and how much they are taxed depends on having a well-thought out estate plan. Because inheritance can be subject to a variety of federal and state income and/or estate taxes, you need competent advice to preserve the value of your assets. Mark R. Lewis will help you put a plan in place that will protect your financial assets by translating your wishes into legal directives, with minimal tax impact. The first step in estate planning is to decide how you want your assets distributed. Whether you are married or single, with or without a family, it is important to streamline, and in some cases avoid, the probate process by ensuring that your assets are properly held and their disposition clearly spelled out in binding legal documents. Special attention must be given to those with blended or second families, and those with non-traditional family units. Finally, your estate plan needs to contain flexible documents. The documents may adapt as tax laws, investment opportunities and your own personal circumstances change. When a family is faced with the death of a loved one, the last thing they want is to deal with legal details. Our firm offers our clients estate administration, by guiding families through the process and relieving them of the worry and confusion it can cause. This may include handling estate and gift tax matters, obtaining asset valuations, managing probate court filings, court proceedings and other related activities. Estate Law involves more than just legalities and tax matters; it concerns people’s most personal issues, often when they are emotionally overwhelmed. At Mark R. Lewis PC, we realize how sensitive these matters are and provide caring, confidential counsel for clients and their families. Whether it’s assisting our clients with real estate development laws, complex real estate transactions, or something in between, we understand and focus on each of our client's overall business objectives. This ensures a smooth and quick resolution to the issue at hand. Our firm excels in meeting deadlines and paying attention to the details which are critical in today's real estate marketplace. Our real estate clients benefit from our experience and dedication to offering practical legal advice in a timely and efficient manner.